Award-winning international games label Team17 and independent developer Villa Gorilla have today released a new trailer for their delightful pinball platform adventure Yoku’s Island Express. When Yoku arrives on Mokumana Island to take over the role of postmaster, he’s ready for the easy life, soaking up the sun and delivering parcels on a tropical paradise! However, all is not well and Yoku will quickly discover that Mokuma the island deity, is trapped in a restless slumber, with his nightmares causing quakes and storms across the island. As Yoku embarks on a noble quest to save the troubled god, he will traverse the island using a unique blend of pinball mechanics, meeting a whole host of quirky villagers along the way! Meet Fosfor who craves tasty Cove Mushrooms; Ohm, Tilo and Jamja the mountaineers clambering the Mt. Peak trail; Spina, Juice Master Jeepers and the rest of the Skull Gang and many, many more wonderful characters. 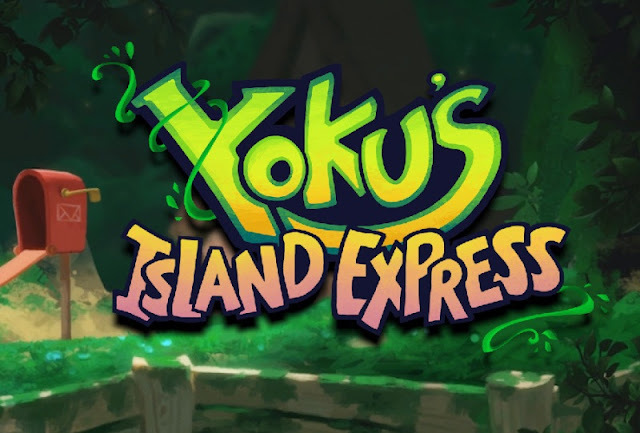 Yoku’s Island Express is rolling on to Xbox One, PlayStation 4, Nintendo Switch™ and PC in Q2 2018.